COMPEL© 2, is a flexible, open architecture system that provides simplified operations for dynamic media distribution via satellite or IP. Optimized to support multiple applications for content providers, TV, and digital signage, Compel 2's modular design provides extensive opportunities to scale network expansions and deliver video, audio, data, and downstream control to the network. Compel's powerful actions can be invoked in real time or scheduled to occur at fixed or repetitive intervals. Actions can repeat around the clock, and at specific days of the week or days of the month. Actions can even be triggered by production automation systems via contact closures, TCP/IP events or DPI triggers. Allow multiple, individually permissioned users to simultaneously take control of their individual responsibilities for network operations. Take advantage of digital file-based workflows to collect content from multiple users and distribute programming in non-real time. The web browser interface streamlines support for multiple networks with enhanced permission-based access and segregation of network data. Support multiple clients or departments as separate, independent networks. WEGENER offers two versions of Compel 2 network control to scale growth according to business and/or operational needs. Subscribe to CompelConnect.com for access to a shared, web-based version of Compel 2. 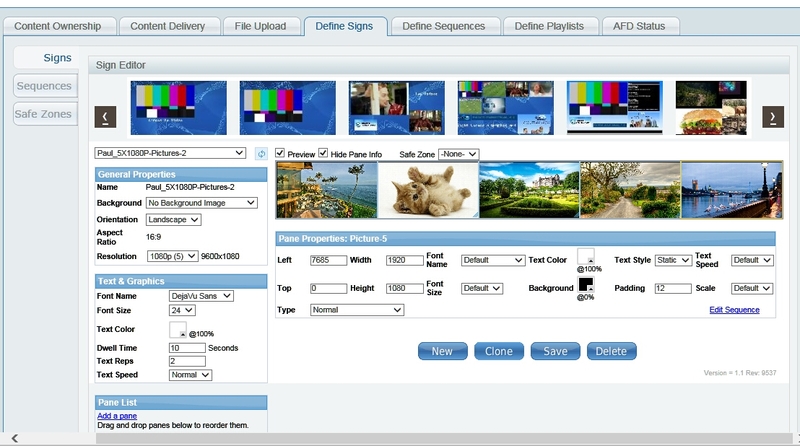 The Software-as-Service (SaaS) package offers basic management tools for video content distribution, digital signage, scheduling, playout control, and health & status monitoring of WEGENER iPump media players via the Internet. Develop new ways to customize the end-user experience in healthcare, houses of worship & retail environments. Enhance communication and advertising strategies using Compel 2 digital signage tools. New integrated standards-based ingest tools help streamline content management and optimize media player output. User-friendly screens help design, schedule and sequence custom combinations of video, graphics and text information overlays. © 2016 Wegener Corporation. All Rights Reserved.